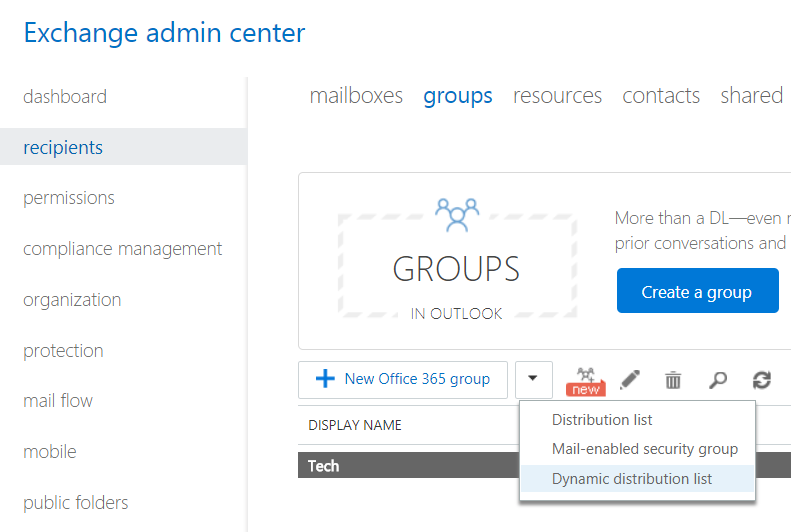 While this is very straightforward on other platforms, we need to go the extra mile with Office 365. Sometimes we want to receive each misspelled emails or even those sent to nonexistent addresses. e.g. someone sends a message to jonh instead of john, the catch-all address will receive this email. In order to achieve this, we will set up a delivery rule with the exception that if a group doesn’t contain a user, that message will be forwarded to a determined user. 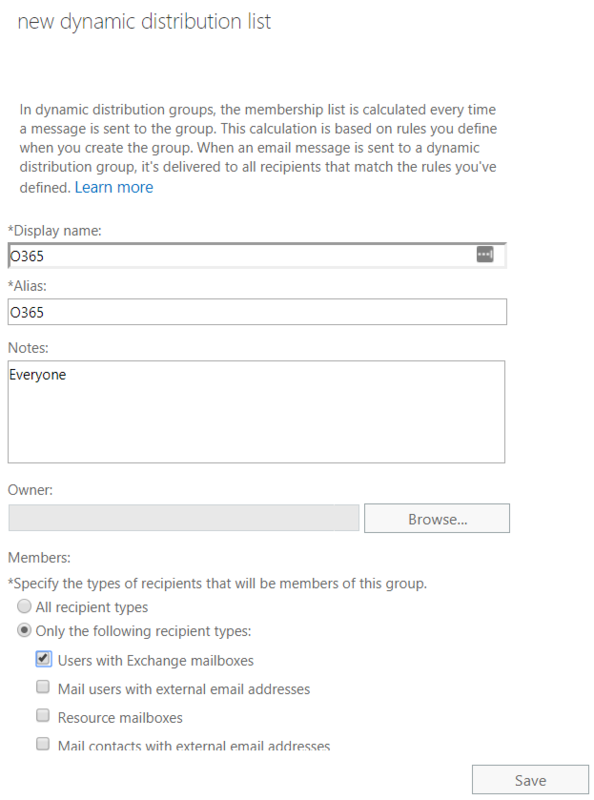 Basically a delivery method by filtering against an adaptative group in Office 365. 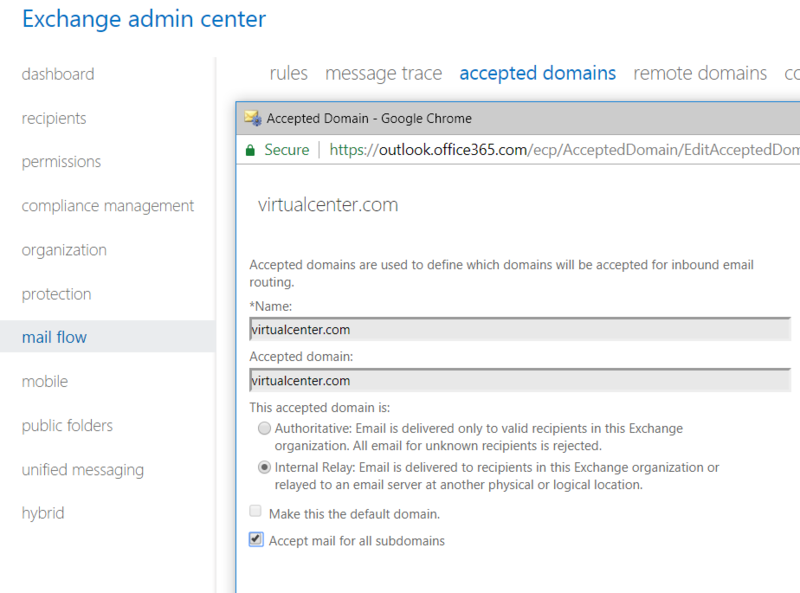 Start by going to mail flow, accepted domains – select your domain and click edit. Change it to Internal Relay, and click accept mail for all subdomains if you need this option as well. Save and exit. Now that we have the filter in place, let’s create a rule that can reverse the filter. 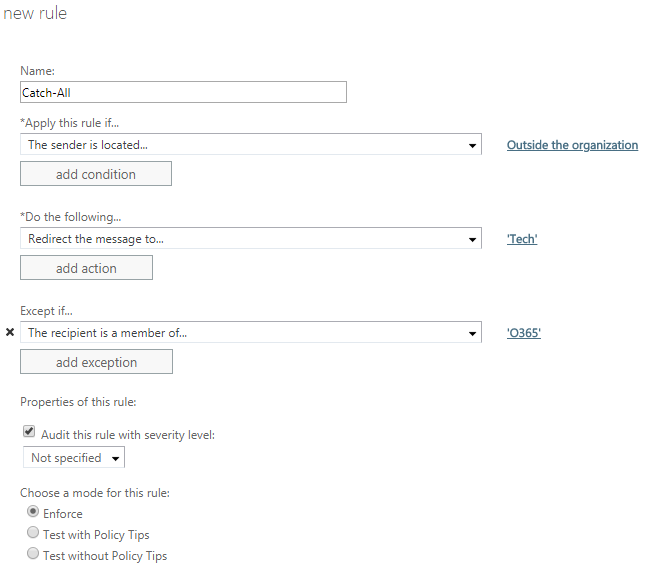 Go to mail flow, rules, create a new one.